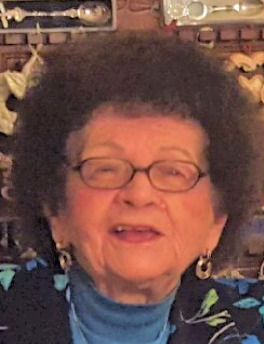 Mrs. Anna S. Malek Cece, 93, died Monday, April 15, 2019 in her home surrounded by her loving family. Family and friends are invited to the visitation in the Kowalski Funeral Home, 515 Roselle Street, Linden on Wednesday, April 17th. from 4:00-8:00PM. On Thursday, April 18th., beginning at 9:30AM everyone will gather in the funeral home where a prayer service will be offered at 10:00AM by the Reverend Bryan Wolf. The prayers of committal will precede her burial in the family plot in Holy Cross Cemetery in North Arlington, New Jersey. Mrs. Cece, the daughter of the late Antonia Bailes Malek and the late Frank Malek, was born in Rahway, New Jersey. She lived in East Brunswick, New Jersey for fifteen years before moving to Linden, New Jersey forty-five years ago. Mrs. Cece was a punch press operator for Hammer Manufacturing in Linden, New Jersey for over twenty years and she retired in 1991. Mrs. Cece always told her family that she didn’t have time to join any clubs, because she was too busy taking care of the family that she loved so dearly. She was predeceased by her husband, Carmine Cece on January 14, 1978 and her son, George A. Clusman, Jr. on October 27, 2007, as well as, her three brothers, Joseph Malek, George Malek and John Malek and her three sisters, Mary Tarnecky, Helen Guss and Katie Jacik. Mrs. Cece is survived by her daughter, Ruth A. Clusman, with whom she made her home; her son, Russell A. Clusman and his wife, Blanca; her sister, Julia Dobosiewicz; her nieces, her nephews, her great nieces, her great nephews and her many friends.